Topics of interest to myself and hopefully others. Jason, you are an absolute genius! I haven’t liked much of what I’ve seen of the mandelbulb out there – because of its distortion and poles – but you’ve found some shapes that look a lot better than your average mandelbulb – not least because you’ve gone the extra yard of investigating other formulae. 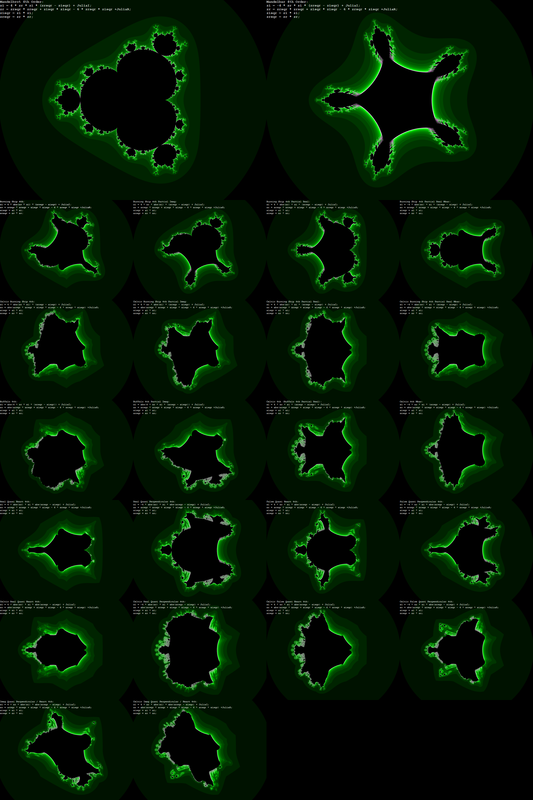 I have wondered what the nova fractal formula would do in 3 dimensions, some of your work seems to be suggestive of things I’ve seen in nova. I’d love to hear if you do have any success with a nova-like formula in 3d! Utterly awesome and amazing work man! I’d like to know if Vision of Chaos is able to make stereoscopic 3D renderings for the new 3D TV:s? If not then that’s a feature request. That would be so cool. Visions Of Chaos does now support JPS stereoscopic images output that the new 3D TVs support. Side-by-side 3D movies are also supported. It will be really cool if you add the possibility to save movies frames only after convergence with the continuous rendering, and add maybe an new uniform that is incremented after each convergence. Because seeing the convergence process is a bit boring, and i don’t think anyone wants to make a movie of that. The latest version 68.3 gives a viruswarning (url.mal) in Avast;can’t download because vast blocks the download process.Never happened before. Yes. It is a false alarm. If you disable Avast while installing it should be fine then. If you test the installer on virustotal you will see it only has the 2 (false) detections out of 60 antivirus programs. So cool, love your blog and posts! but i can’t understand “maximum cell state” in 3D CA. what does it mean? how to have over two state? Rather than 2 states (on or off) you have more possible states. For example if you have 5 states per cell (4 live states and dead), each cell that is “born” starts at state 4. If that cell dies, rather than going straight to state 0 dead it goes to state 3, and then state 2 the next step, etc. Thanks for your kind Jason! Respectively i have another question that I can’t find it. how to know accretor ruels from its number? for example, what’s the meaning of the rule number: 1010271533 ? The rule number is used as the seed value for the random number generator. 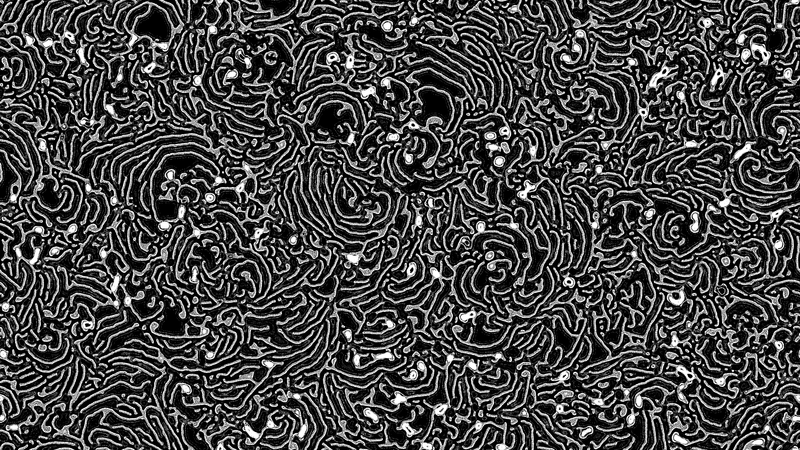 See https://softologyblog.wordpress.com/2018/01/12/accretor-cellular-automata/ for more info on how the Accretor CAs work. 1. You are amazing and keep up the great work. I’m into all different types of patterns and a tool like this is just incredible. 2 . I have the android app and am going to download the full version. That said, I’ve gotten away with not having a laptop/desktop for a while (been using my iPad Pro for most things) and am looking to finally get a laptop or maybe a desktop. I was wondering if you had any suggestions of what kind of specs I should look for to run the program smoothly? Buy the best CPU and GPU you can afford. Multiple core CPU and fast GPU help in rendering the most. Latest NVidia RTX technology not used, but any GeForce 1080 will help run all the shader related code fast. In the end though, no matter what you decide on you can always push the limits in Visions of Chaos to bring any hardware to a crawl.